A two-year investigation by the Senate Permanent Subcommittee on Investigations has found widespread fraud in the Social Security Administration's (SSA) Disability Program. It appears that disability payments have skyrocketed because the SSA's attempt to reduce the back-log of disability cases has forced administrative law judges to hold hearings without reviewing the medical evidence in the case files, decide cases without holding hearings, and approve cases of claimants that are not disabled. Coburn’s report on widespread fraud, released Monday, focuses in large part on a veritable "disability claim factory" allegedly run by Attorney Eric C. Conn out of his small office in Stanville, Kentucky, a region of the country where 10 to 15 percent of the population receives disability payments. Coburn's report found that, "over a four-year period from 2006 to 2010, the Social Security Administration paid Mr. Conn over $4.5 million in attorney fees." And that, "Mr. Conn was the third highest paid disability law firm in the country due to its receipt of over $3.9 million in attorney fees from the Social Security Administration." Disability payments have skyrocketed across the U.S. in recent years. 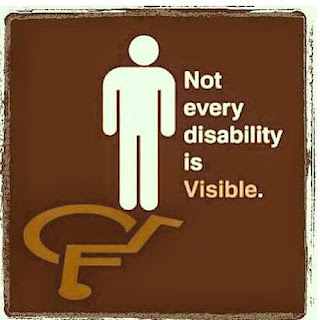 At the end of August 2013, more than 14 million Americans were receiving disability benefits The Social Security Administration has blamed aging baby boomers and the lingering effects of the recession as two causes, but another reason disability payments have skyrocketed appears to be the SSA's attempt to reduce the back-log of disability cases has forced judges to hold hearings without reviewing the medical evidence in the case file, decide cases without holding hearings, and approve cases of claimants that are not disabled. LEXINGTON, Ky. (WKYT) An eastern Kentucky attorney at the center of a national disability fraud investigation is breaking his silence. Floyd County attorney Eric Conn says "the truth will be forthcoming" and for others not to be so quick to judge. "I have practiced Social Security disability law for twenty years. I have advertised extensively and represented every claimant to the best of my ability," wrote Conn in a statement sent to WKYT. "When changes in the law occurred, I studied those changes in an effort to better represent the people who put their faith in me. I have served my clients with honor and dignity." Before a senate hearing on Monday, October 7, 2013 Conn refused to answer questions, a former worker claimed he called doctors responsible for signing off on the reports "whore doctors" because they didn't question the information. Allegations in a more than 160-page report from a U.S. Senate committee include that Conn "used his law practice to exploit key vulnerabilities in a critical federal safety net program and became wealthy in the process, "inappropriate collusion," and the "collaborated on a scheme that enabled the judge to approve, in assembly-line fashion, hundreds of clients for disability benefits using manufactured medical evidence." 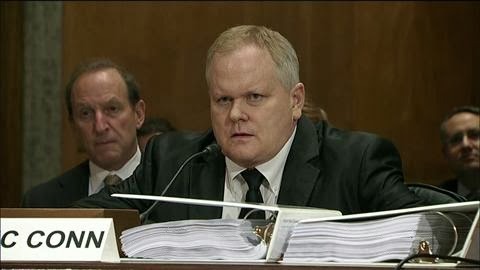 Attorney Conn - said to be the third highest paid disability lawyer in the country - stood before a senate hearing Monday, October 7, where four witnesses testified against him. He's accused of perpetrating massive fraud against the Social Security Administration (SSA). "He called them whore doctors because you could get them to do what you want and they were cheaper," said Melina Hicks who worked for Conn. The report claims these doctors would sign a claimant's form -- paving the way for Judge David Daugherty to award benefits. "With Judge Dougherty and Eric Conn, what I seen was 100 percent// if you look at that statistic alone, what's the likelihood that every claimant who walks into your office is disabled," said Carver who is a senior case technician for the SSA. In a "60 Minutes" broadcast on Sunday, October 6, CBS News tracked down Conn. When reporter Steve Kroft asked Conn to talk about his relationship with the former judge and his incredible success in disability court, Conn didn't elaborate. "Boy, that's tempting. Oh, I would love to comment on some of that. But not - I'm really sorry, I don't think I should right now," Conn told CBS News. At Monday's hearing, he remained even more restrained. "I respectfully assert my constitutional right not to testify here today, sir," Attorney Conn told committee members. More than 11-million Americans receive disability insurance. That's up 20 percent in the last six years. "Some in congress refuse to acknowledge that the disability programs are broken and in dire need of significant oversight. People who are truly disabled will pay the price of our dithering," said Sen. Coburn. Being disabled is often not the chief worry of DI applicants. There is something particularly despicable about anybody who would game the Social Security disability system, imperiling the program for people who are genuinely in need of such assistance. But countless people are doing just that. Heather Mac Donald—the Manhattan Institute’s Cassandra—began sounding the alarm in 1995 with a groundbreaking City Journal article about an able-bodied and hardworking family, which, alas, put its impressive energies into obtaining DI payments instead of finding more meaningful work. Since then, things have only gotten worse. When it began, the disability insurance (DI) program was small and inexpensive. Applicants were vetted and the able-bodied turned away. The number of people on DI in 1960 was around 455,000; by 2011, the number had skyrocketed to 8,600,000. The budget for DI is $135 billion a year, topping the costs of the departments of Homeland Security, Justice, and Labor combined. Even this figure is misleading: after two years on DI, the recipient is eligible for Medicare, regardless of age, adding immensely to the taxpayer’s burden. DI benefits are not lavish, amounting to around $1,100 a month. This often adds up, however, to lifetime benefits of around $300,000. Disability lawyers, on the other hand, can pull down princely sums. Dare I say they make out like bandits? Senator Coburn's report, jointly released Oct. 7 by the Senate’s Homeland Security and Governmental Affairs Committees, and featured last Sunday on "60 Minutes," shows how legal and medical personnel are exploiting the system and in the process creating a national disaster. Government reports can make for pretty dull reading. But this one is a page turner. Not since the Starr Report, which dealt with shenanigans in the Clinton White House, have I found myself unable to put down a government document. And this report is far more important than the Starr Report, dealing, as it does, with a costly and widespread form of moral rot. The star of the report is Eric Conn, who, according to the report, has built the largest and most lucrative disability practice in the country. Conn, whose office is in Stanville, Kentucky, on the West Virginia border, was also the subject of a Wall Street Journal expose. For a disability lawyer, winning is everything. They only get paid of their client wins. Then they are paid by the government, which deducts the fees from what the client receives. The system has worked well for Conn. “At the height of his success in 2010, Mr. Conn employed nearly 40 people and obtained more than $3.9 million in legal fees from [the Social Security Administration], making him the agency’s third highest paid disability lawyer that year,” the Coburn report notes. It hasn’t hurt that most of Conn’s cases were heard by Administrative Law Judge David Daugherty, in the SSA’s regional Huntington, West Virginia Office of Disability Adjudication and Review. In 2010, Judge Daugherty, who is currently on administrative leave, ruled against only four of the 1,284 cases he heard. This record is all the more astonishing when one realizes that these were cases that had previously been turned down and were on appeal. Daugherty reportedly okayed around $25 billion in DI benefits in his last years as an administrative law judge. No wonder the judge and lawyer reportedly took pains to work together. According to the Coburn report, "Judge Daugherty telephoned the Conn law firm each month and identified a list of Mr. Conn’s disability claimants to whom the judge planned to award benefits. Judge Daugherty also indicated, for each listed claimant, whether he needed a ‘physical’ or ‘mental’ opinion from a medical professional indicating the claimant was disabled." And the medical work wasn’t that demanding. The Conn firm reportedly supplied doctors with a set of five different pre-filled out forms for hundreds of clients. Some doctors met clients at the “medical suite” in Conn’s law offices. Fifteen minutes was a normal visit. This meant that a single doctor could see up to 35 claimants in a day. An indication about how widespread this abuse is: a businessman in my hometown ruefully told me that there is a local doctor widely known as the go-to man for DI benefits, even (or especially) if you are in the pink of health. Although Coburn made it abundantly clear on “60 Minutes” that he doesn’t begrudge DI payments to the genuinely disabled, the senator, who is also a physician, was lambasted for being anti-sick person. “The news program's theme was that disability recipients are ripping off the taxpayer,” charged Michael Hiltzik of the Los Angeles Times, a Pulitzer Prize winner, no less, in a story describing the “shameful attack on the disabled.” Did Mr. Hiltzik really see “60 Minutes?” Coburn was critical of the non-disabled who, with help from lawyers, doctors, and judges, are ripping off the system. Coburn acknowledged that many able-bodied DI claimants are desperate because the economy is so bad that they can’t find work. Nevertheless, DI wasn’t set up to deal with the outcomes of a bad economy but to help keep people who truly can’t work. Can DI be saved for those who really need it? There are some fixes: a healthy skepticism about the cases claimants present and the presence of a representative of the Social Security Administration—or better still, a taxpayer’s advocate—at DI hearings would be a start. The reason fraud escapes detection, the report indicates, is that judges face tremendous pressure to get through the backlog of DI applicants. Before you suggest hiring more judges, let me propose a simpler fix: if only the truly disabled got DI, if the fakes were turned away, the lines of people applying would be shorter. Our friend with the cowboy hat is involved in DI law because it’s a gold mine. It shouldn’t be. It was designed for the disabled, not for lawyers and shady doctors. Of course, if there is a move to institute such changes, there will be an outcry. The Michael Hiltziks will accuse reformers of hating the disabled, and the public will be swayed. Or will it be? We may be reaching a point where the taxpayer is sick and tired of being ripped off—and the majority of Americans are appalled when our government offers citizens inducements to give up on work and cheat through an ill-supervised program that ends up helping lawyers and doctors, rather than the disabled. Rick Lowry of the National review does not think very highly of Attorney Conn.
From one point of view, Eric C. Conn is an American success story. He opened his business in a trailer in tiny Stanville, Ky. With a keen eye on the main chance, he grew it into a juggernaut. It became one of the leaders in its field, employing dozens of people and even opening a satellite office in Beverly Hills. All this would be very inspiring if Eric Conn’s business didn’t exist as a barnacle on the Social Security Administration. His law practice specializes in extracting (often dubious) disability benefits for his clients from the United States government, and enriching himself and people around him in the process. In his book on the excesses of the American welfare state, Nicholas Eberstadt remarks that loose government rules and generous benefits tend to make us "a nation of chiselers." If an exhaustive new Senate report on Conn’s operation is to be believed, he is truly a lawyer for our age. Conn spread the word of his services through that indispensable marketing tool of the American bar — the highway billboard, supplemented by TV advertisements and "Conn Girls" who attended events wearing shirts emblazoned with his firm’s logo. He marketed himself as Mr. Social Security. In 1960, fewer than 500,000 people received disability payments. Now, the Social Security Administration disability program pays benefits to 12 million people. Many of these recipients are worthy and deserve help, and the aging of the population has been a factor in this growth. But an increasing number of claims involve subjective, difficult-to-disprove ailments, like mood disorders and back pain, obviously creating potential for abuse. An administrative law judge told "60 Minutes," "If the American public knew what was going on in our system, half would be outraged and the other half would apply for benefits." Counselor Conn would be happy to take their cases. He is to disability payments what Perry Mason was to criminal defense. He has had an amazing knack for getting his claimants approved, and making millions from it. The Social Security Administration pays lawyers for successful claims from the back-pay benefits. Conn got $3.9 million in fees in 2010 alone, when he was the third-highest-paid disability lawyer in the country. Not bad for a little ol’ country lawyer in Stanville. As the Senate report notes, though, Conn had friends in high places. An administrative law judge in the Social Security Administration’s Huntington, W.Va., office, Judge David Daugherty, handled as many of Conn’s cases as he could. The report found that Daugherty gave Conn’s office a list every month of claimants he planned to bless. Conn’s office reportedly filled out the medical forms that were signed by doctors paid by Conn, to the tune of $2 million over the past several years. Then, Daugherty approved them — every time. He never turned down anyone represented by Conn, and, as a general matter, was an approval machine. In 2009, according to the report, he approved 1,410 claims out of 1,415 total, and in 2010, 1,371 out of 1,375. The norm for such judges was to hear only about 600 cases a year and approve 60 percent of them. The last few years of Daugherty’s career — he has since retired — he awarded $2.5 billion in lifetime benefits, the report estimates. Oddly enough, the judge and his daughter received nearly $100,000 in unexplained cash deposits in their bank accounts from 2003 to 2011. When The Wall Street Journal wrote about the relationship between Conn and Daugherty a few years ago, the lawyer’s office got multiple disposable cellphones so the lawyer and judge could keep talking and took a shredder to a warehouse of documents. Eric Conn’s legal fate is unknown. He is being sued for fraud, and he refused to testify at a recent Senate hearing. In the spirit of George Plunkitt, he seen his opportunities and he took them. Those opportunities came courtesy of the heedlessness of the contemporary welfare state. Amid the news of the debt ceiling debate and the government shutdown, a disturbing report was released in the U.S. Senate on October 7 revealing rampant abuse in the approval process of Social Security Disability benefits. The report, issued by the U.S. Senate Homeland Security and Government Affairs Committee, offers a peek into just how loosely at least one government benefits program is administered and sheds light on the need for more oversight of the programs that swallow 10 percent of the nation's GDP. The Committee report encapsulates a two-year investigation, led by Senator Tom Coburn (R-OK), of a West Virginia Social Security office charged with the disbursement of Social Security Disability funds. The investigation uncovered an advanced network of inside dealings between a Kentucky-based law firm, local doctors, and an Administrative Law Judge resulting in a complex rip-off of the federal government's disability program. The suitably named Eric Conn of the Conn law firm in Kentucky paid doctors substantial fees for unsubstantiated medical evaluations of his clients, maintained a highly questionable relationship with the judge who consistently approved Conn's clients for benefits, and in doing so generated more than $4.5 million in attorney fees paid by the Social Security Administration for services rendered to disability applicants. The travesty, however, is not the millions paid to the attorney, but the billions that will be paid out over the lifetimes of those whose claims were improperly approved under this scheme to defraud the U.S. taxpayers. Senator Coburn has established himself in the Senate as a crusader for cutting down on wasteful government spending and fraud in entitlement programs; but in the Senate, he is frequently faced with opposition from legislators who, he says, "buy into the idea that getting more people on Social Security is more important than doing oversight." This line of thinking is problematic in its feasibility, not to mention the damage it will ultimately cause to those who qualify for and need the assistance the most. The Social Security Disability Insurance Trust Fund is running out of money. It is projected that by 2016, 20% of benefits will be cut, yet disability benefits are being approved in record high numbers. An estimated 15 percent, or $21 billion of SSA benefits, are rewarded to ineligible recipients. Earlier this year, Social Security acknowledged they haven't processed over 1.3 million "follow-ups" to make sure people who are receiving disability benefits are still entitled to receive them. Congress cannot continue to turn a blind eye to issues of fraud in entitlements and must give this report and its glaring implications the attention that it deserves. Reforms to reduce fraud and redirect funding to individuals who legitimately qualify for these benefits must be implemented. Furthermore, the Social Security Administration must take the information in this report and review the list of claimants with a connection to Mr. Conn to ensure that they actually qualify for the benefits that this judge approved. Thus far, there has been no indication by SSA that such a review will occur. Lastly, the U.S. Department of Justice has had access to much of the information contained in the report for over a year and has taken no action. No criminal charges have been filed and the U.S. Attorney's Office gave notice in 2012 that they would not intervene in the civil action filed by two whistleblowers who are former employees of the West Virginia Social Security Office. DOJ's inaction is inexcusable in light of the enormous amount of readily available evidence in this case. While DOJ sits on the sidelines, the whistleblowers and their attorneys continue in their quest to see that Conn and his cronies pay for the damage they have caused and will cause to those who actually need and are entitled to disability benefits. Unless proactive steps are taken by Congress and these agencies, wrongful payment of benefits will continue to soar until the program has nothing to disburse to those the program was intended to serve. The court records stem from an unsealed Federal Court proceeding in which two Huntington whistleblowers seek to recover a portion of the allegedly misappropriated funds. Jamie Slone testified before the U.S. Senate Homeland Security and Government Affairs Committee, but her affidavit in a civil action by whistleblowers Jennifer Griffith and Sarah Carver reveals alleged computer destruction, a voodoo doll sent on the “getrevengeonyourex.com” web site billed to “cuddles for you,” $20,000 to “sneak” his fiancée from St. Kitts to Florida, tainted campaign contributions, personal calls and emails from the accused judge, and consideration of leaving the United States for Cuba. Some clients were given x-ray requests that had “we do not want the films read by anyone” marked on the form. “Mr. Conn found descriptions on the internet of x-ray films. He cut and pasted these descriptions into his clients’ medical opinions,” the affidavit stated. Finally the former office manager swears that during a six year period (2006-2012) , Mr. Conn sent funds to Thailand to support “fiancées or women that he was dating that lived in that country.” Emails stated that money for “Oriental Fashion” covered English lessons, an apartment, spa treatments and cosmetic surgery. One attempt to marry a woman on a “yacht,” near Florida cost $20,000. Since Conn was out of town, another attorney put down the cash. According to the affidavit, “the plan was abandoned before it was completed,” but Conn did reimburse the other lawyer for the 20 grand. You can read the actual affidavit of Ms. Sloan by clicking here. Her U.S. Senate testimony is also available for download. HUNTINGTON — Two whistleblowers, credited with revealing alleged waste within Huntington's Social Security Office, want a federal judge to protect $22.7 million in proceeds garnered by disability claims attorney Eric Conn, one of two targets in the whistleblowers' civil lawsuit. Their motion for a preliminary injunction was filed this month in Pikeville, Ky., while Conn pushed for complete dismissal of the nearly two-year-old lawsuit. The lawsuit alleges Conn and Administrative Law Judge David B. Daugherty of Huntington engaged in a scheme to improperly award Social Security disability benefits to hundreds of applicants. U.S. District Judge Amul R. Thapar heard arguments for and against the dismissal Oct. 9 in Covington, Ky. He then took the matter under advisement with no decision entered as of midday Friday. The lawsuit specifically claims Daugherty assigned himself cases, conducted sham proceedings and awarded Conn's clients benefits without justification, while Conn utilized medical experts who provided false or fraudulent testimony and used Daugherty for claims denied elsewhere. In their request for an injunction, whistleblowers Sarah Carver and Jennifer L. Griffith lean upon a congressional investigation that concluded Conn has received $22.7 million in attorney fees and cost reimbursements from the Social Security Trust Fund since 2001. It describes Conn as a flight risk with a history of sending money overseas. The request says the two fear that without an injunction, those earnings will dissipate and leave the government "with an inability to restore even a small percentage" of fees and disability claims already paid from the Trust Fund. Carver, a senior case technician, and Griffith, a former master docket clerk, both worked at the agency's 9th Street Plaza location in Huntington when the alleged abuses occurred. 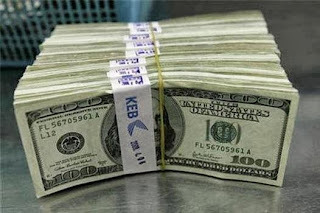 They stand to receive a percentage of any funds recovered should they succeed on the government's behalf. The Justice Department has twice declined opportunities to intervene in the civil litigation, and federal prosecutors for eastern Kentucky and southern West Virginia are mum on any criminal investigation. U.S. Attorney Booth Goodwin, assigned to the Southern District of West Virginia, said Monday he could neither confirm nor deny the existence of any criminal investigation into the alleged abuses. Meanwhile, the U.S. Senate Committee on Homeland Security and Governmental Affairs continues its inquiry, weeks after hearing testimony from the whistleblowers and releasing its own investigative report. Among its findings was an estimate stating Daugherty's unusually high productivity and approval rate awarded more than $2.5 billion in lifetime benefits to Conn's clients and others during the judge's final years on the bench. U.S. Sen. Claire McCaskill, D-Mo., attended the hearing and told the women she doubts it would be their last time testifying. "This report gets my heart beating a little faster as a former prosecutor," she said at the Oct. 7 hearing. "If you put some good prosecutors on these set of facts, and I think you're going to find something more than the pressure to move a docket quickly." Carver and Griffith's congressional testimony preceded appearances by Conn, three doctors and Charles Paul Andrus, who was chief administrative law judge at the Huntington office during the period the alleged scheme occurred. Daugherty failed to appear at the hearing despite a subpoena, and Conn invoked his Fifth Amendment right against self-incrimination. The whistleblowers have since filed a motion for Thapar to take notice of Conn's refusal to testify, while also noting Daugherty's absence, in deciding whether to dismiss their lawsuit. Conn, in a motion filed by his attorneys Tuesday, objected to any negative inference being drawn between his decision not to testify in Washington and his standing in the civil case. It states Conn has not invoked any Fifth Amendment protections in the civil case and "adamantly disputes the Senate Report and its conclusions." Conn's attorneys believe permitting such an inference, especially before Thapar decides upon their motion to dismiss, would lead to an "absurd situation" during which he would testify about the Senate report and negative inferences of invoking the Fifth Amendment, even though no such assertion has been made in the civil case. "That cannot be the case," the motion states. Conn's attorneys, based in Louisville, Ky., argue the whistleblowers' lawsuit does not link their client to any specific filing of a false claim for disability benefits. Instead, they claim the allegations are based on speculation and conjecture, saying it is no secret Conn represented numerous clients whose cases were processed by the Huntington office. "Knowledge of this fact is not equivalent to knowledge that the claims for disability were false or fraudulent in nature," according to an Oct. 7 filing. "Conn asks that the Court put an end to what can only be described as a fishing expedition." The whistleblowers' attorneys, based in Lexington, Ky., contend their lawsuit meets the required specificity to survive Conn's motion to dismiss. That includes specific examples of when Daugherty assigned himself cases and information how specific claims can be located. "The complaint passes muster if its factual claims are plausible," according to a Sept. 23 response to Conn's motion to dismiss. "Once a complaint satisfies this test, however, it must be permitted to proceed 'even if it strikes a savvy judge that actual proof of those facts is improbable, and 'that a recovery is very remote and unlikely.'" The whistleblowers cited an affidavit from Jamie Lynn Slone, a former Conn employee, in their argument for the $22.7-million injunction. Slone's affidavit said her former boss, in reaction to a May 2011 article in the Wall Street Journal, considered leaving the United States for Cuba to avoid any criminal extradition. The affidavit also states Conn defied the advice of his own attorney as he ordered certain documents be destroyed, saying "this is my office and I will do what I want." "There is no way I am going to jail," Slone's affidavit quotes Conn as saying. "If I was paying D.B. (Judge Daugherty) I wouldn't be dumb enough to leave a paper trail." The whistleblowers also used the affidavit to link Conn to other foreign associates. It states he would try to smuggle certain women into the United States, including an abandoned effort in November 2011 to pay a Toronto man $20,000 to rent a boat in St. Kitts and use it to sneak Conn's fiancée into Florida. The affidavit also links Conn to a man in Thailand, to whom the eastern Kentucky attorney would send varying amounts of money as support for his fiancées or women he was dating. Slone's affidavit noted she reviewed emails from the Thailand man stating the payments, billed as "Oriental Fashion," would cover apartments, vehicles, English classes, cosmetic surgery, spa treatments and a person paid to look after the women. "The potential harm to Plaintiffs, and thus the United States, is likewise irreparable," the motion for an injunction states. "The requested preliminary injunction is the only way to protect them, and the United States from ongoing damage while this matter proceeds to trial." Aside from Conn's position that the lawsuit fails to state any specific filing of a false claim, his attorneys also argue for an outright dismissal on grounds the whistleblowers were not the original sources of a voluntary disclosure, the statue of limitations have expired and that Thapar's court lacks jurisdiction due to Daugherty's standing as a senior executive branch official. Conn's attorneys cite a work manual in stating Carver and Griffith already had an obligation to report fraud. Attorneys for the women counter, arguing their clients were not hired as fraud investigators, so their gathering of information was voluntary and their reports to the government investigators and assistance in a Wall Street Journal report make them the original source. Attorneys for the whistleblowers further contend their lawsuit falls within the statute of limitations. They also point to Daugherty's failure to tout his former standing as senior executive branch official as evidence no jurisdictional concerns exists. Daugherty, answered the whistleblowers' lawsuit on his own behalf, denying many of the allegations and saying he lacked knowledge or information sufficient to form a belief about others. His answer closed with a demand for a jury trial, according to the Sept. 9 filing in U.S. District Court. HUNTINGTON -- An investigation into the Huntington Office of Disability and Adjudication Review was launched after the publication of a Wall Street Journal article in 2011 outlining the relationship between disability lawyer Eric C. Conn and Administrative Law Judge(ALJ) David Daugherty. ALJ Daugherty, then 75 years old, called Conn's firm multiple times in the days after the article appeared, but Conn refused to talk to the judge on his law firm's phone lines, the Congressional report found. "OK. There are those of us who know the D.A. There are those of us who know the circuit judge. There are those of us who have an inside track and hear some things. We need to talk. If you don't want to, it's your loss. You need to contact me ... You need to do it. There are things you need to know. Good-bye." After that, the report alleges, ALJ Daugherty and Conn communicated through the use of disposable prepaid cell phones so the calls couldn't be tracked. ALJ Debra Bice, chief administrative law judge (Chief ALJ) for the entire Office of Disability and Adjudication Review under the Social Security Administration (SSA/ODAR), told a colleague that when she questioned Andrus on ALJ Daugherty, "he couldn't give an honest assessment of what was going on." Huntington office workers Sarah Carver and Jennifer Griffith gave detailed testimony on the dysfunction of their workplace, and two of Eric Conn's former employees also testified. "Those women, the ones who spoke out, they are extremely brave and deserve a lot of credit," said ALJ Daniel Kemper, a former judge and colleague of ALJ Daugherty in the Huntington office. Just how Huntington Administrative Law Judge David "D.B." Daugherty managed to be one of the most productive Social Security Administration judges in the country in the later years of his career was something of a mystery to his co-workers and fellow judges. ALJ Daugherty, who became an administrative law judge in 1990, was hardly ever in his office and rarely conducted hearings, according to a report issued by the U.S. Senate Committee on Homeland Security and Governmental Affairs last month after it looked into possible abuses in the Huntington Social Security office. The report and recent Congressional testimony allege ALJ Daugherty abused an initiative by the Social Security Administration urging judges to decide between 500 to 700 cases per year to clear some of the system's backlog. When a fellow judge expressed concern over moving cases quickly, Judge Daugherty told him "You're just going to have to learn what corners to cut," according to the report. But the volume of cases didn't match what colleagues observed of the judge's work ethic. The report states one administrative law judge in an email called Daugherty "intellectually lazy," and that was "probably his most obvious trait." Another colleague said Daugherty was "A spoiled little boy who became a judge" who "sought the easiest way out" in his work. The report states it was a running joke in the Huntington Office of Disability and Adjudication Review that if someone was looking for Judge Daugherty, "you should not look in his office." The report states that Daugherty's behavior when it came to time and attendance was "a constant source of tension" in the Huntington office. One of Daugherty's critics in that regard was fellow judge ALJ Daniel Kemper. "It was extremely frustrating," the now-retired Kemper said in an interview with The Herald-Dispatch recently. "It's one of the reasons that I left." The report states that Andrus tried on several occasions to kick the complaints up to his superiors, who told the justice it was his responsibility to manage such an issue, with one official saying, "I think Judge Andrus wants someone else to do his job." Former fellow judge William Gitlow wrote to a colleague: "We have Judge Daugherty here who scans the master docket each month, pays 90+% of the time and gets out 80 to 100 cases a month. So we make our numbers each month. Without him we would not. Ever." 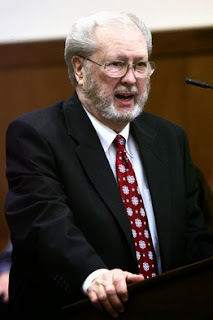 After a Wall Street Journal article about Daugherty's relationship with Conn was published in May 2011, Kemper, who retired in 2007, said he was floored by statements Daugherty made to local media. "He was claiming he got all these cases because he was such a hard worker," Kemper said. "... His contention that he worked so hard could be refuted just by his time and attendance records." " ... there was nothing I had seen," Kemper said. "I didn't go so far as to make an individual effort to follow him around." The committee report indicates that Daugherty didn't work hard, but fast. He decided most of his cases "on the record," meaning he didn't conduct a hearing with the claimant, but awarded benefits just by looking at the case file. In relation to Conn, since at least 2006, Daugherty would call the attorney's office and read off a list of names and Social Security numbers of Conn's clients who were on the judge's docket, referred to as the "DB list," and tell Conn or his office employees what type of medical evidence he needed to approve the case, investigators found. Conn would then take disability forms that were already filled out to doctors to sign. Conn allegedly paid local physicians he referred to as "whore doctors" anywhere from $300 to $650 per form, according to Congressional testimony and the committee report. Daugherty would then write favorable decisions for the client, using variations on the same language in nearly every case, the report states. It also said Daugherty would have Conn change the onset date of a condition so that records of previous denials wouldn't factor in because the judge would be supposedly looking at a new medical diagnosis. Many of those cases were moved onto Daugherty's docket by the judge himself, according to the report and testimony. Andrus was bombarded by complaints from other judges and docket clerks that Daugherty was taking cases that hadn't been assigned yet, or, in some cases, had already been assigned to other judges. In replying to questions from a higher judge about his social relationship with Conn, Andrus said "This is exactly what I was talking about when dealing with Judge Daugherty. At least this time he did not accuse me of doing cocaine in my office." Daugherty would review Conn's cases in the Huntington office's Prestonsburg, Ky., satellite office, which was close to Conn's legal practice. "I would be with (Daugherty) in Prestonsburg, and you would see Eric Conn bring in these scores of people at one time," Kemper said. "(Daugherty) would finish 20 cases in the time it took me to do two or three." But in most of the cases involving Conn's clients, Daugherty opted for making "on the record" decisions based on case files and negating the need for hearings. According to the congressional report, Daugherty conducted 80 hearings for 481 of Conn's clients he approved for benefits in 2006. Those hearings were conducted over a span of four days. In 2007, Daugherty saw only four of 509 clients he handled for Conn, with all of the hearings conducted in one day. He didn't conduct hearings for any of Conn's 429 clients he approved for benefits in 2008. In 2009 and 2010, he saw a total of five of Conn's 981 clients who were granted benefits. In 2011, before his suspension, Daugherty saw 18 of 366 clients he approved for Conn, all in one day. "To state that 30 hearings were canceled and 30 on-the-record decisions issued to help the agency meet performance goals suggests possible impropriety and flawed decisions," Cristaudo wrote. That phrase -- "judicial independence" -- was one that Andrus would use time and again while being grilled by a U.S. Senate panel last month on why Daugherty was never disciplined. According to the report, Andrus did note that Conn would frequently cancel hearings if the case wasn't on Daugherty's docket. He said he confronted Conn directly about this, and Conn remarked "Well, it was good while it lasted." According to the report, Daugherty continued to move Conn's cases to his docket until the Wall Street Journal article was published. That's when Andrus put a strict lockdown on moving cases and even put a stop to a custom schedule the chief judge had designed that made sure Conn's cases were heard before any others. A top lawmaker January 16 demanded a top-to-bottom review of the Social Security Administration’s management structure, following a series of disability scandals that have rocked the agency and led to widespread government scrutiny. Rep. Sam Johnson (R., Texas), who chairs the House subcommittee that oversees Social Security, directed the Social Security Administration’s inspector general to launch the review. The demand comes one week after the Manhattan District Attorney’s office brought a case alleging more than 100 people – including former firemen and police officers – were cheating the Social Security Disability Insurance program by improperly collecting benefits when they shouldn’t have. In August, the U.S. Attorney in Puerto Rico brought another large case alleging widescale disability fraud — one of the largest sweeps since the program was created in the 1950s and the first major case since the program’s rapid expansion during the financial crisis. And the Justice Department is also looking into whether there was an improper relationship between a former Social Security judge (Daugherty) in West Virginia and a disability lawyer in Kentucky. The Social Security Administration primarily authorizes two kinds of benefits, one for older Americans and another for people who are no longer able to work because of health problems. The disability program pays close to $140 billion in benefits to roughly 11 million people, making it one of the government’s largest – but least known – entitlement programs. A number of Democrats have joined Republicans in demanding more answers from top Social Security Administration officials, as the recent scandals come at a time when the SSDI program is quickly exhausting its reserves. Its trust fund is projected to run out of money in 2016. Mr. Johnson called for the review during a hearing at which SSA acting commissioner Carolyn Colvin and SSA inspector general Patrick O’Carroll testified. Though Mr. O’Carroll’s division is responsible for overseeing and even investigating the agency’s operations, the IG has stopped short of criticizing any of the agency’s actions with regard to the cases in New York, Puerto Rico, and West Virginia. In fact, in recent months, senior SSA officials have told Congress that disability fraud is very rare, and the IG’s office hasn’t refuted that view. A top-to-bottom review, as demanded by Mr. Johnson, could create a more adversarial relationship between the IG and top SSA brass than has existed in recent years. As the disability program has grown, it has faced a number of strains. Millions of Americans applied for benefits during the economic downturn, straining the agency’s resources and forcing many judges to ramp up their workload for processing appeals. This has created a growing tension between a number of judges and senior SSA management, leading to at least one lawsuit. Meanwhile, the agency has taken steps to tighten its control over the administrative law judges.